1 Aussie Dog Food is infused with the patented formula that is shown to have a beneficial effect on the Gastrointestinal tract ('the gut') of dogs. The recipe contains a blend of prebiotics, probiotics and enzymes. Probiotics are supplements that contain beneficial bacteria. Lactic acid bacteria, a component of yoghurt, is the most common microbe used as a probiotic. Beneficial bacteria in the intestinal tract stimulates the production of antibodies and improves the function of the immune system. Enzymes help allow for the most complete breakdown of ingested food. Thorough digestion means higher rates of food conversion and nutrient absorption into your dog’s circulatory system. Residents in Ballajura, Duncraig, Ellenbrook, Aveley and The Vines can contact Pet Friends on 0418 728 455 or on our website here. Follow the links to learn more about our pet sitter service and our dog walker service.You love your dog and want what is best for him. You have invested time in puppy training and house training. You have provided a comfortable home environment. Warm bed, shelter, good quality food, toys and treats. But you can't be home with him all day. You work and have social events that leave him home for long periods on his own. You are not alone. Join the many people engaging a professional dog walker to ensure their furry family members also enjoy a stimulating day. You can ensure your pal also has an interesting day. A professional dog walker can be engaged for walking on lead or, if suitable, off lead at the many beautiful locations available around Perth. Our mediterranean climate means perfect weather most year round and our vast choice of local parks, lakes, rivers, bushlands and dog friendly beaches mean an endless supply of adventures and exploration to be had. Your dog could be languishing in boredom at home. Digging holes, chewing the retic, barking endlessly or worst of all crying from boredom. Or he could be off with his favourite dog walker checking out what's been happening around his neighbourhood, meeting up at the local park with other dogs he knows, chasing and fetching balls, or in summer having a swim. It is a sensory banquet out there for your dog. He looks so forward to going out walking and taking it all in. The feel of different textures under his paws, rolling getting a good back scratch in the grass. What he sniffs on his walk opens a window to what has been happening in his territory. It is so exciting! Even better, he gets plenty of exercise. This makes for a fitter, healthier dog but also a more content, relaxed dog. He has burnt off some of the excess energy and is not likely to partake in the destructive behaviours he may otherwise have done. In fact, is probably more cost effective than damage control for a bored, destructive dog which is destroying property and/or neighbourhood relations. Some dog walkers take many dogs at once. At Pet Friends we walk your dog individually. This way we tailor the walk to specifically meet your dog's needs. If your dog is antisocial we can provide stimulating experiences in a variety of safe environments. For dogs who love to interact with others, we can coincide their walks to meet up with other groups gathering at the local park. Either way you come home to a fulfilled and happy dog. Check out our service and prices here. 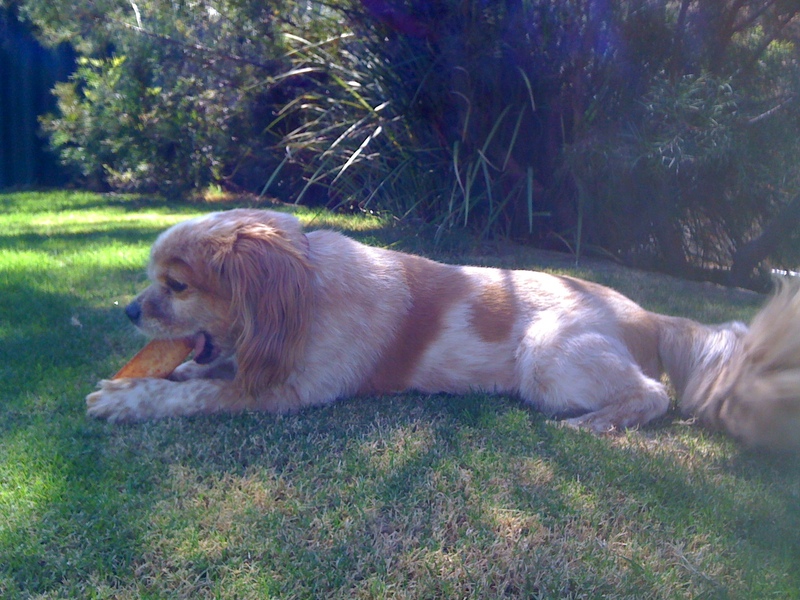 Summer in Australia is a wonderful time to get out with your dog, bond and get fit while enjoying the great outdoors. A walk is a fun time for your dog to explore and to play and exercise and burn off a lot of pent up energy. So make sure you always have a safe ball, frisbee or other throw toy ready at your disposal. Most dogs will pick up a stick in their excitement and beg you to throw it. Resist temptation to do this. 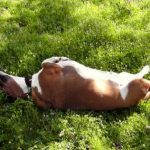 Many dogs safely catch sticks hundreds of times, however as veterinarians see too often, it can be a fatal choice for your dog. Having something safe on hand will make it easier to resist the temptation. Roads and pavements can heat up rapidly in days of high temperatures. Unless you are walking your dog barefoot, you most likely will not know whether the ground has the potential to burn your dog's paws. There is a very simple test: put the back of your hand on the pavement, and if you can't keep it there for five seconds, it's too hot for your dog's feet. Obviously the best time to walk is in the early morning or late afternoon, but if this is not possible, there are ways you and your pal can enjoy a walk without ending in painful burning and blistering. If your dog is happy in the car this is a safe way to get to and from your favourite shady park. Check out some other helpful tips here. As the weather begins to heat up one creature that begins to become very active in our bush and wetlands are snakes. It would not be much fun for us or our dogs to avoid these areas in summer as they are so much more scenic and tranquil than the suburban streets but we do need to be aware and alert. We don't often see the snakes that are present as they tend to avoid confrontation. An inquisitive dog however can easily disturb and scare a snake into inflicting a potentially lethal bite. 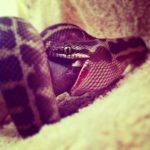 It is almost impossible to find a snake bite on a dog so it is important to know the signs and to seek help immediately. Hydration is essential. We all know dogs pant to keep cool. As they exhale water is expired from their tongue, this respiration regulates their body temperature. 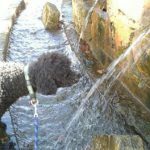 A dog's nose must also be sufficiently moist to be able to pick up scents, making your walk more interesting and pleasurable. always be on the look out for the signs of dehydration and make sure to take water with you on a long walk or at least have a big supply of fresh cool water ready for your return. 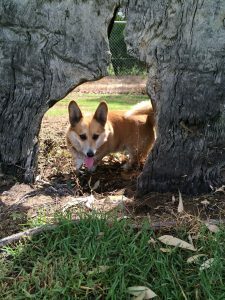 All the beautiful dogs pictured on this page are out on walks with their dog walkers from Pet Friends a Perth based pet care business which has been providing pet services including walking, holiday care and boarding since 1995. We look forward to loving your furry friends as much as you do. 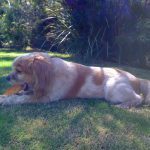 Where can you find more qualified pet care in Perth? Established by Sharon Savill in 1995, Pet Friends has been caring for Perth's pets for 20 years now. Her growing team of experienced and enthusiastic pet sitters are ready at your call to walk, brush, bath, feed, medicate, play with, cuddle and pamper your beloved pets. 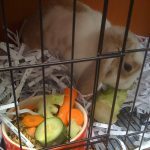 They have thoroughly enjoyed hanging out with your pets while you are away, busy at work or convalescing. Suzanne will never forget her pet transport gig taking Albie, a mini schnauzer, to be ring bearer at his family's wedding. And she will always have a soft spot for a dear little Shih tsu named Koko who was battling intestinal disease and was so fragile Suz was afraid she would break as she hand fed her medication and chemo. Paige was only a toddler when her mum Sharon established the pet care business and has fond memories of Sam and Tigger, the loveable staffies her mum walked several times a week for 9 years. Paige has formed special bonds with the pets of all shapes and sizes she has cared for over the years. Especially the ones with quirky natures, like Zoe the German Shepherd who eats lying down and Sheba the Oriental x who only eats her biscuits while being brushed. Both Paige and her brother, Logan, enjoyed the wide variety of visitors as their home was open for pet boarders over the years. They will never forget the first time Zach, the Pomeranian, had an epileptic seizure. Zach was a regular boarder so they were soon quite familiar with nurturing him through his quite regular fits. Then there was George and his buddy Max who boarded on numerous occasions, the longest stay being in 2003 while their family toured Europe for 3 months. Logan was 7 years old at the time. They were also thoroughly amused by the antics over several boarding stays of Ziggy the lorikeet. 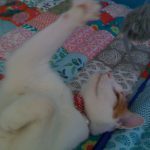 Ziggy was extremely playful and talkative and very much an attention seeker. He loved to dance and sing and to be caressed. He especially loved a daily bath! heart.They've made me smile, laugh, and even cry when a few have crossed the rainbow bridge. What stays with me most is the way each and everyone of them has such a unique way of showing their love and affection. Sam (golden retriever) in particular has such a lovely way of showing how much he loves you, he comes up besides you, sits down and offers his paw, and while holding hands gazes adoringly into your eyes - such a charmer!" Tina says "I love the welcome I get from Rosie when I see her everyday. It puts a smile on my face. I love my job." Sharon also recalls with amusement the first time she took border collie, Belle for a walk only to discover Bosco the family cat tagging along with them. "Bosco followed us for several blocks, with Belle looking back regularly to make sure she was keeping up!" 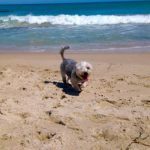 If you are seeking loving, family oriented, quality pet care in Perth click on this link to see how Pet Friends can help you. We are waiting to welcome you to the Pet Friends family! Ah the joy of an approaching holiday! 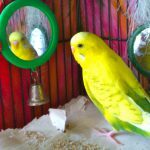 The pace nowadays is such that when the opportunity arises for a well- deserved break we feel the excitement before travel plans are even made, but what about Banjo the budgie? 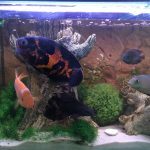 Or the beautiful array of fish in the tank in the living room? Not to mention the garden…Will you arrive home to a dead garden bed or a green pool? There are also those not so exciting times when work is particularly demanding and your focus must be away from the little creatures and growing things that you love. This is where pet sitters come to the rescue. 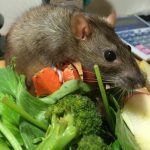 Pet Sitters not only take very good care of cats and dogs but our pet sitters have all kinds of animal pals. We have changed bird seed, cleaned our rabbit hutches, ensured goldfish are well fed and have been known to prepare meals for a snake or two! 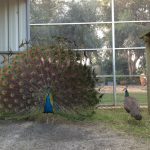 Our pet sitters are trained to care for a variety of pets including the very exotic such as Milton the snake and Mr Peacock who demonstrated his beautiful mating ritual for the camera of one of our pet minders recently. We care for gardens that need watering too. It is peace of mind knowing that all those beautiful plants and flowers will not wither away while you are enjoying your well-earned holiday or you are away for work, not to mention how reassuring it can be to know that someone is checking your p roperty on a daily basis. Click on this link to arrange for Pet Friends pet sitters to give tender loving care to the pets and plants that you love; we really are your extended family for those times when you cannot be there. And if your circumstances are such that your pets can not be left at your home, we can arrange for home boarding for most types of pets. Cats are enigmatic creatures, mysterious and beautiful. I personally adore them and share my home with two of them. It is said that dogs love their masters as much as cats love their home. Felines are not as demonstrative but faithful and loving to their owners and they deserve to be pampered. It is a fact that cats are extremely territorial and that they love their living space. In certain situations cats can become quite distressed if moved to a different environment. It is scary stuff for a pussycat to find him or herself in a strange noisy place that is nothing like home! Click on this link to find out why cat minding in the home is the kinder alternative. 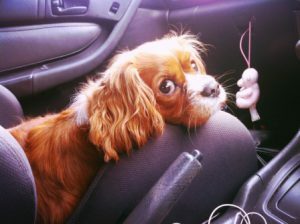 Many of our doggie friends love a car ride whereas most cats do not particularly enjoy being enclosed in a cat carrier only to be driven to a new place and placed in a cage. 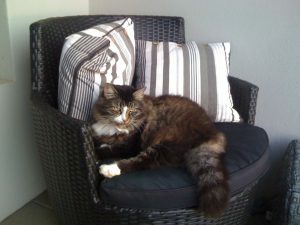 At Pet Friends we have many feline friends we visit on a daily basis while their owners are away on holidays or at work. Our pet sitters arrive to often find these beautiful creatures relaxed in their favourite spot and although the cats may miss their humans they particularly appreciate the security of their normal routine. Our carers will clean litter trays, provide fresh water and food and of course supply a generous amount of play and cuddles. Click this link to find out more about our cat minding services. 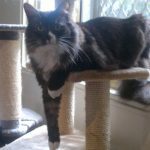 Cats are independent creatures and they deserve the one on one attention of a home visit by their favourite cat minding carer in Perth. We cover most northern suburbs from Dalkeith to Joondalup and from Scarborough to Ballajura. If your little friend is feeling secure and receives a daily visit from a cat minding service like Pet Friends, whereby their carer will spend a little time playing, grooming etc. there is a good chance he or she may not even notice you’ve gone! 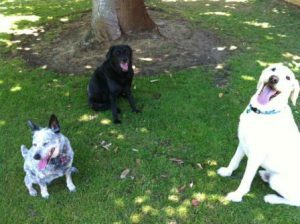 Milo, Otis and Nash have just come back from a fun walk with their dog walker in Perth. They had such a great time in the sunshine but they could all do with a bit of cooling down now! 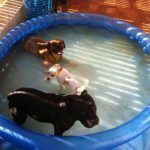 First of all they need a good long drink …they are in luck …their family have left the kiddie pool full of water… It is so cool and refreshing…they don't waste any time plunging in! Let’s not forget the fun side of a good swim at the dog beach. It is just as important as a good play in the park chasing a stick or catching a ball. Your ideal dog walker will possess both the time and the enthusiasm to ensure that your pet is not only exercised but has a great deal of fun too! Click on this link to find out how a dog walker can help improve the quality of your dog's day. 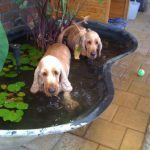 Jensen and Cooper’s owners are very much aware of the importance of keeping their pets cool by having plenty of fresh water on hand in two full buckets so that the chance of it running out, or spillage, is minimised. Regardless, the twins still take the opportunity to take a plunge in the fish pond. This is so much fun! But it is also vital on a hot summer day after exercise. Dogs are quite susceptible to heatstroke because they have sweat glands only on their feet and they rely on panting in order to cool themselves down. The fur coat they have to wear all year round also does not help with excessive heat! 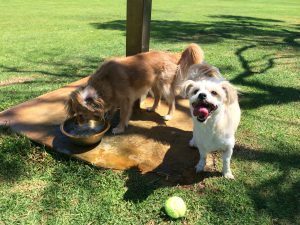 Click on this link to see how you and your dog walker can work together to keep your dog cool and hydrated during the hotter months. Click here to check out how a pet sitter can be arranged to visit your beloved pets while you are away and ensure there is always drinking water available and that there are plenty of opportunities of a good cooling down especially during the hot weather. 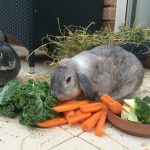 Roxy and Jax (below) are always happy to see their favourite petsitter when their owners are away. Dog Walking by people who care. Have you ever taken the time to stop and watch a dog while he or she is enjoying life? One thing about our canine friends is that, unlike many humans, they certainly take the time to literally stop and smell the roses. 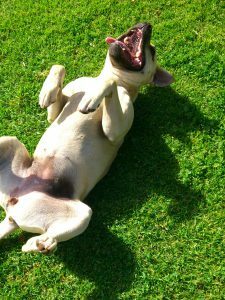 We can learn a lot from our pets, their joy for life is contagious. That is why we love what we do at Pet Friends. We all know that dogs need time and attention from their humans and society is such nowadays that although we love our pets very much we don’t always have the time to dedicate to them. Our pets not only require regular exercise such as dog walking but play and stimulation too; these can eliminate destructive behaviours such as excessive barking or chewing. Click this link to appreciate the dedication of dog walking. Dog Walking in Perth when you can't. 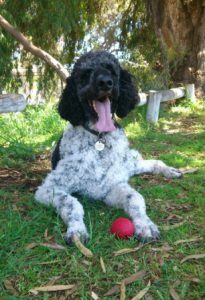 We have dedicated dog walkers in Perth who are available for your pet whenever you are too busy and they just love dog walking. We are committed to provide not just regular walks but exploration time and play. Did you know that unacceptable behaviour in dogs may be caused by loneliness or boredom? At Pet Friends we love the excitement of man’s best friend whenever we show up for a visit. Our dog walks are always one on one to ensure that each pet receives undivided care and attention especially if they are vulnerable or antisocial but the socially adept ones not only can enjoy the pet minder’s focus but they can generally make new canine friends at the local park. This is so important to a dog’s wellbeing; they need company because as we know they are pack animals who have a need for interactions from us and other four legged pals. Our pooches give us so much unconditional love and they deserve the luxury of some time just for them exercising and exploring especially as the sun is once again shining and the skies are blue. 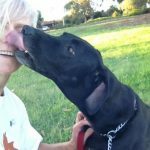 Don’t deny your best friend the benefits of regular dog walking sessions, get in touch with one of our dedicated pet sitters in Perth who can provide a service to you and your dog that will have enormous benefits. 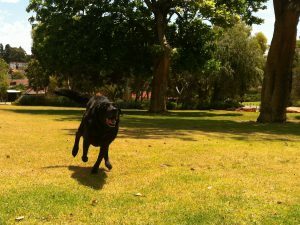 Our dog walkers in Perth are always available for you and your four legged friend. A well exercised and stimulated dog is a happy one so how about a special gift for him or her to begin the New Year with such as regular walks, play and attention? Click the link to find out more about our dog walking service. "Is it safe to leave my pets at home while I am away"
My response to this is a resounding "Yes". But you don't have to rely solely on my word. Just click on this link to see what many others who have used a pet sitter also have to say. These happy pet owners have discovered that the service provided by a pet sitter fulfills all requirements for their pets' care in te rms of both physical and psychological well being. This is because our pets are happiest in their own environment. I elaborate further on this in another article, for more you can click on this link to read how pet home care stacks up against using kennels and catteries to board your pets while you are away. In fact, having a pet sitter visiting the home daily has also proven on occasions to be safest for your home. I can remember one owner being terribly relieved that their pet sitter was able to avert serious damage occurring to their home after a mains water pipe burst in their back yard. It was just a routine day with Pet Friends carers across the northern suburbs visiting and feeding and walking pets whilst their owners were away. 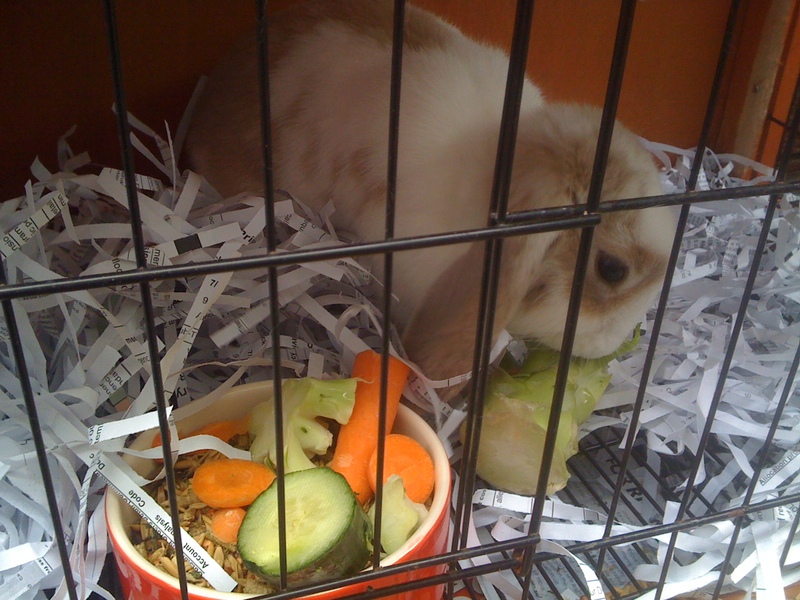 Suzie was at the home of 2 cats and 2 rabbits which she was feeding in the owners' absence. In this case, the cats lived outdoors and were to be fed in the front carport area and the rabbits hutch was in a front courtyard. Gardens were on automatic retic. There was no necessity to go into the back yard. However, Pet Friends pet carers are trained to conduct routine checks of homes we visit and to be observant of anything unusual, eg. parcels/papers left, doors, windows tampered with or broken, retic dug up or not working, pool turning green, holes being dug, etc. On this day, Suzie noticed something very disturbing whilst doing her usual routine check around the home. There was water coming up through the pavers near the laundry. She reported this immediately. I advised her to turn the water off at the mains until I arrived, around 20 minutes later. By this time, when I turned the water on to check it, it was bubbling rapidly through the pavers and, if not turned off immediately, threatened to flood the home. The owner was contacted, and a plumber arranged and the issue was resolved with no damage. There could have been very serious consequences and costs had the owners used pet boarding and had no one visiting to check on their home. On another occasion, a pet sitter noticed flames licking up from under the pavers near a hot water system. Apparently there was a leak in one of the pipes near the system and the gas had risen high enough to be ignited by the pilot light. Again, this would have been disastrous for the home owners had it gone undetected...they were overseas for 3 weeks and chose to have their 3 dogs cared for at their home instead of in a kennel. The owners were notified, a gas plumber called out, and disaster averted. luckily these incidents are few and far between. But it is far better that someone is visiting your home to notice and have them dealt with than not at all. Give yourself peace of mind when next you go away and leave your home and pets in safe hands. Click on this link to see how a pet sitter can help you. 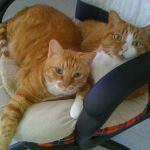 How safe is it to use a Pet Sitter?